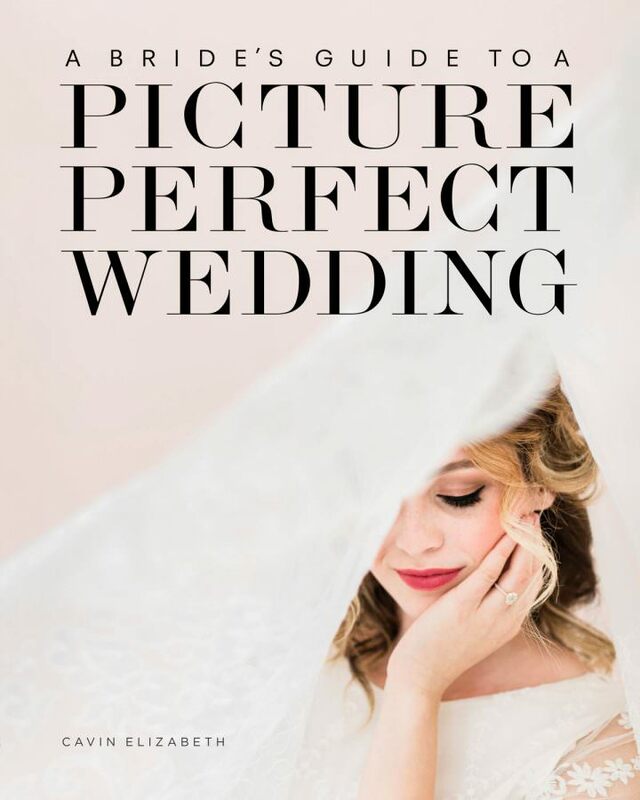 Every year I work with so many amazing San Diego florists for the weddings I photograph. I’ve come to adore flowers for their stunning textures, colors, and compositions within arrangements. 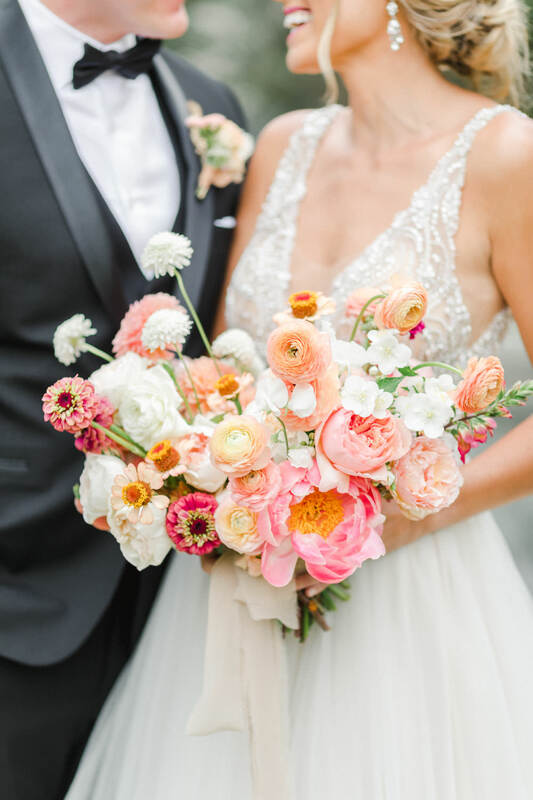 Today I’m sharing my favorite bouquets of 2018 from local weddings and editorials. You’ll find no shortage of beauty below! 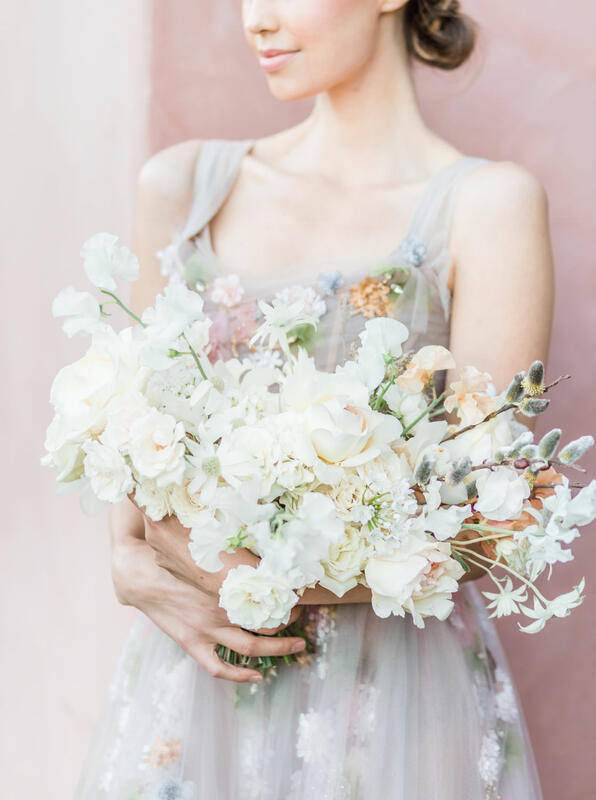 This exquisite bouquet from Native Poppy perfectly filled the pastel loving place in my heart. The shape of this organic and refined bouquet looked beautiful next to the bride’s chic Marchesa gown. 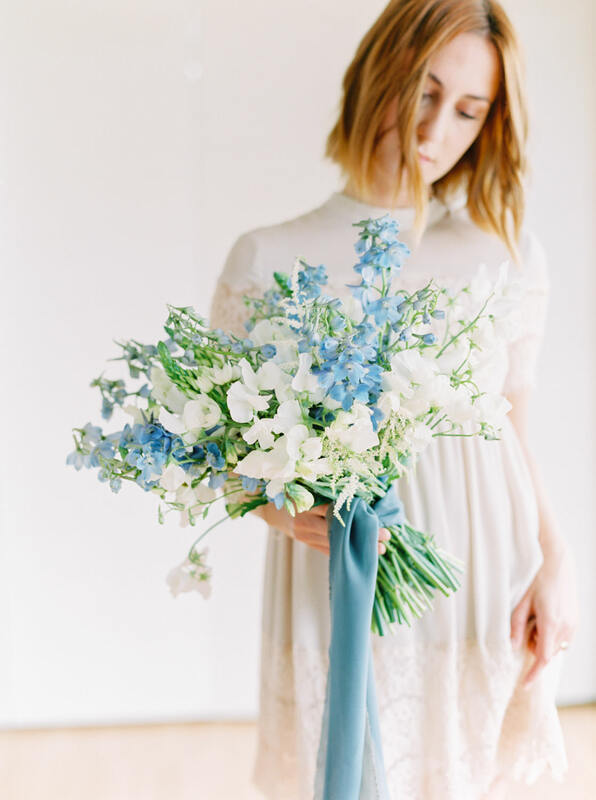 Taya of Compass Floral made me this soft and romantic bouquet for my engagement session. 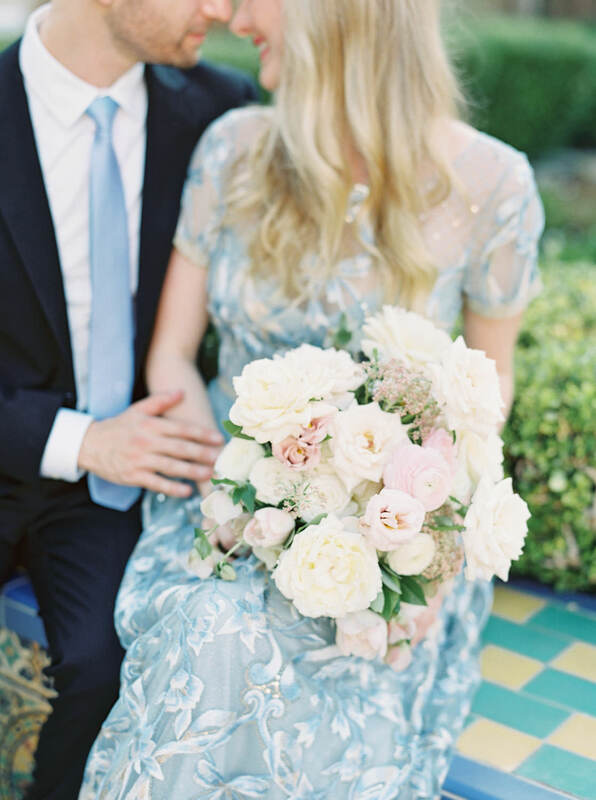 The ivory and soft pink tones were specifically chosen to complement my blue Marchesa gown. 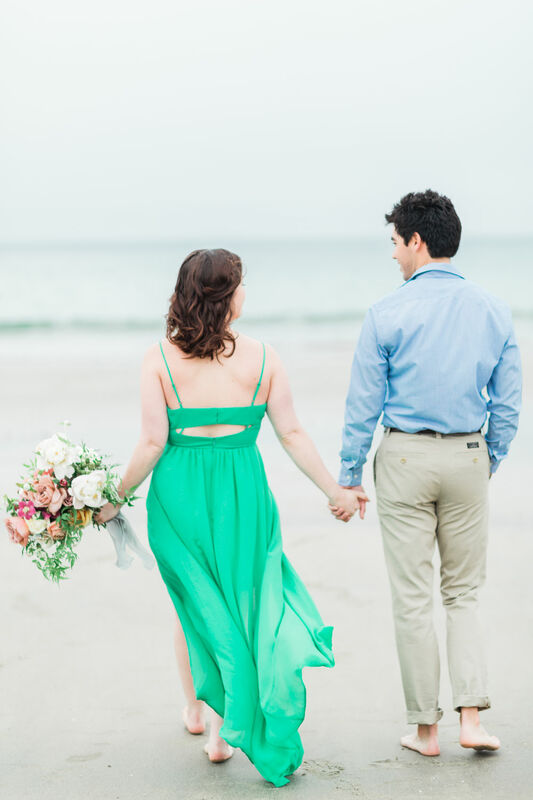 Another Compass Floral beauty, this green and ivory bouquet gave Taylor a gorgeous array of flowers to hold for her engagement session. 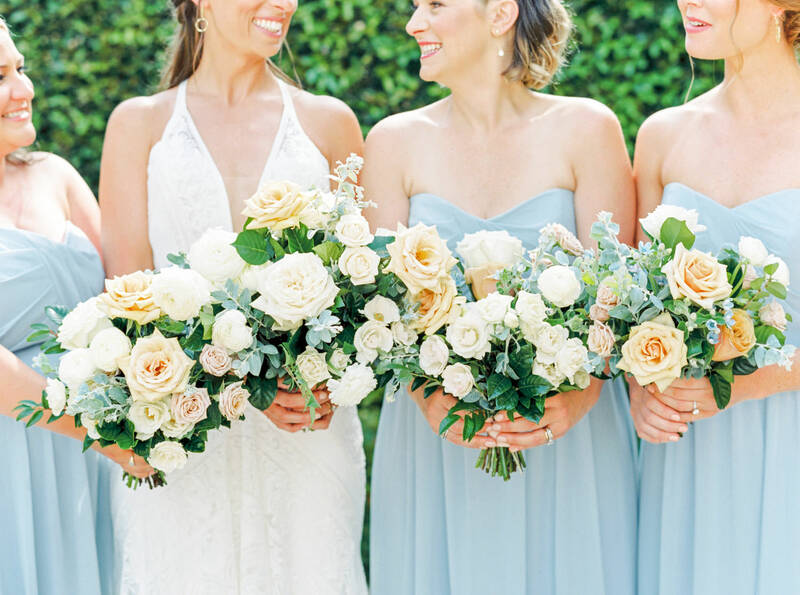 The bold blue of her dress and the soft blue tones of the ocean contrasts beautifully with the classic and neutral bouquet. 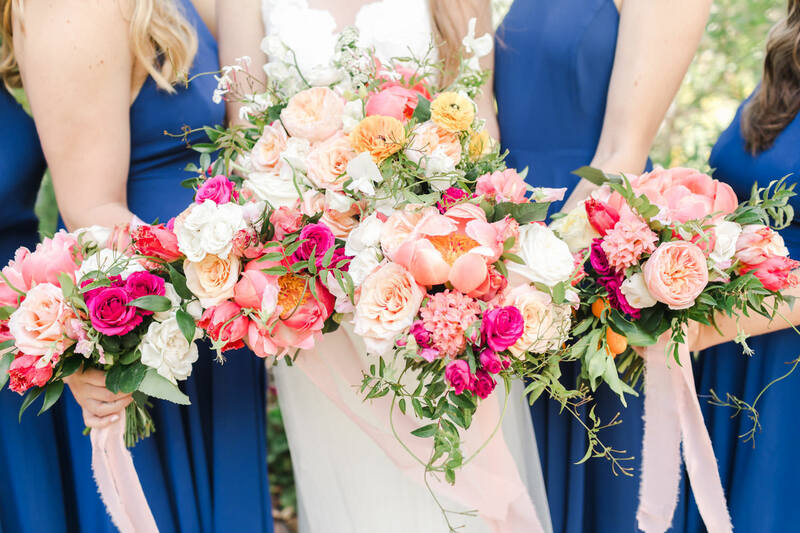 Native Poppy nails it again with this colorful bouquet. 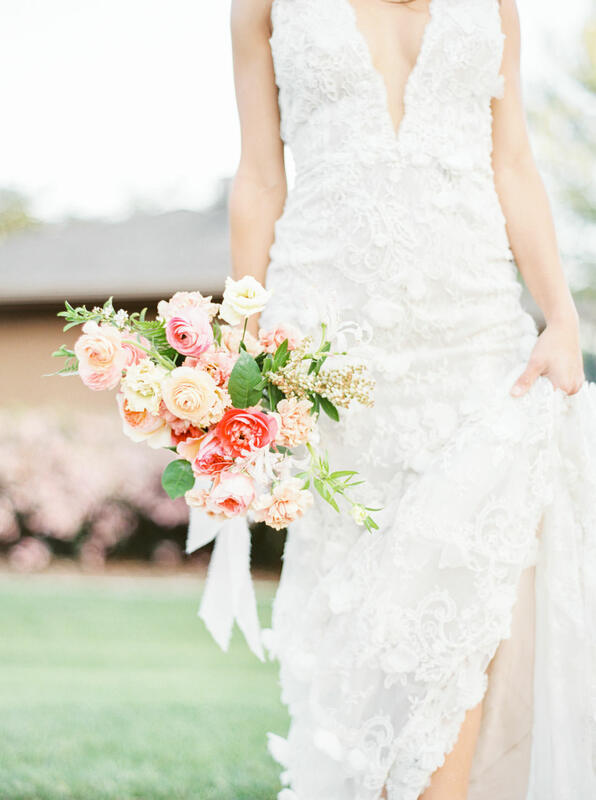 The warm tones of pink, peach, and apricot would be perfect for weddings throughout the entire year. Plus, I love how some of the flowers mimic the detailing on her gown. Organic Flora sure knows how to create a masterpiece of a wild yet elegant bouquet. This blue and white arrangement would stop anyone dead in their tracks. For Meghan, Compass Floral created an organic-toned bouquet with ivory, green, and pops of a golden yellow. I’m always a fan of color pops and couldn’t resist including this set of bouquets on my list. When any bride asks for a recommendation for a colorful floral style, I immediately think of The Dainty Lion. 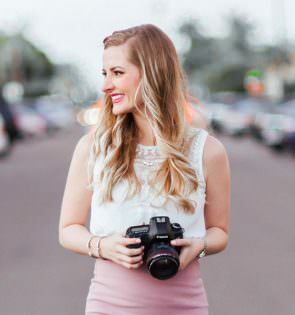 Kimberly creates the most beautiful bouquets and arrangements and features the prettiest pairings of color. What’s not to love!? 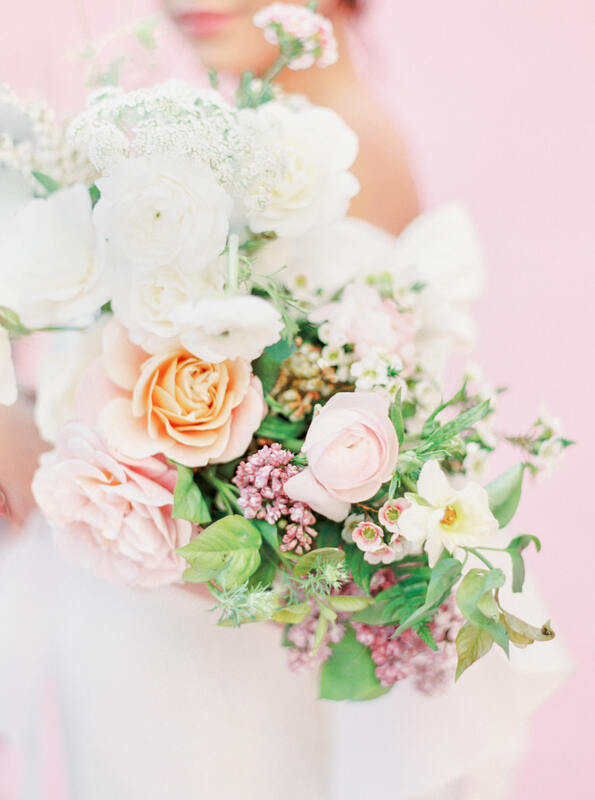 For color-loving bride Dorian, Blooms by Breesa Lee designed a bouquet full of pinks and tons of dreamy texture. It was a perfect fit for getting married at the Botanic Gardens. I sure do love anything Blue Ladder Botany, one of my favorite San Diego florists, creates. For this La Jolla engagement session, Diamant used mauve tones along with greenery and ivory blooms to make a stunning engagement bouquet. 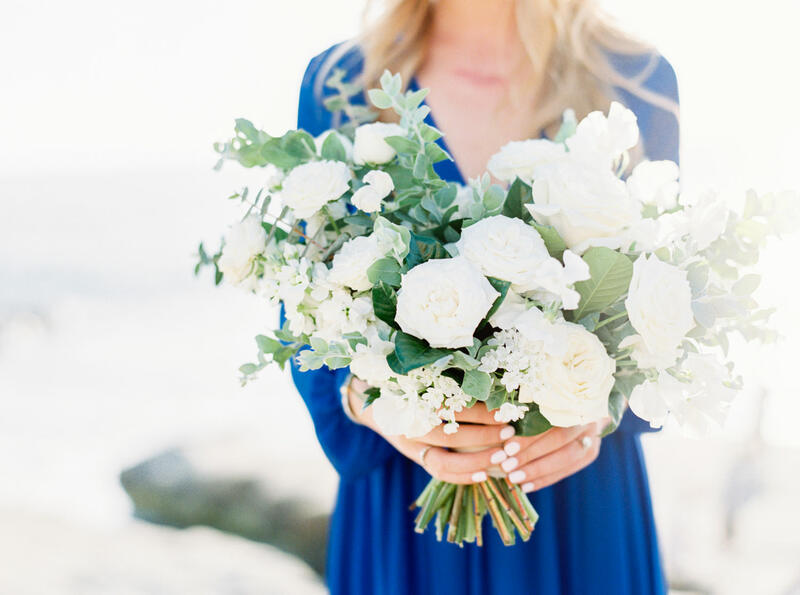 It’s not often I love essentially all-white bouquets, but Blue Ladder Botany knows how to make it so perfectly. Through the use of various textures, this bouquet has such beautiful dimension.